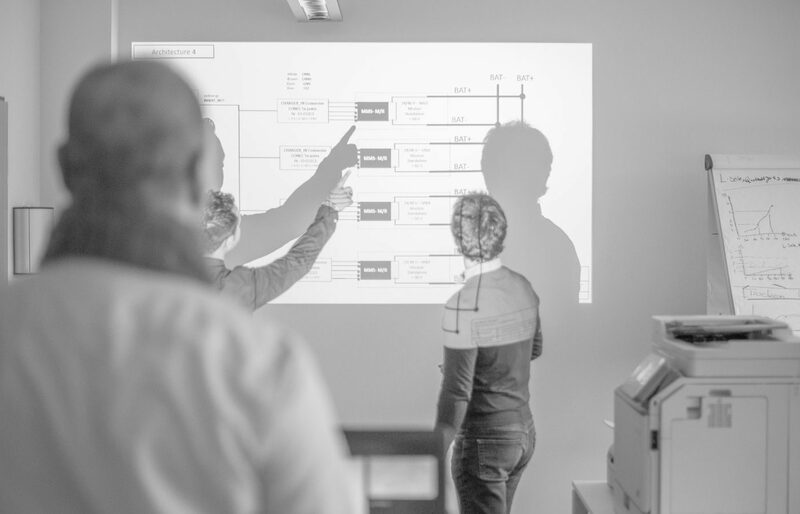 Our compact two-day ISO 26262 functional safety training course is for executives who manage development projects in the electric and electronic fields as well as for specialists who have to operationally implement the ISO 26262 standard. This training is an ideal start for a successful E/E development project! Our functional safety experts introduce you to the tasks and processes of the ISO 26262 in a practical manner. We show you how you can effectively implement and monitor the basic functional safety mechanisms as well as best possible implementation of your development processes. We tailored advice for your own specific project! If you provide us with information on your project before the beginning of the course, we will be able to answer your specific questions within the scope of the training. From the training you will learn, which functional, technical and financial risks your project might entail and how you can handle them for the duration of the project. Together, we will identify, which skills your employees require for your specific safety project and how to advance these skills. CEO’s, Project Managers E/E Development, Managers, E/E Test and Development Engineers (Hardware and Software) as well as other qualified specialists in the fields of technology, safety, planning and testing. Please find more information on the course schedule and registration here.